Summer in Keystone is quiet but filled with recreational choices. Weekend festivals and resort activities are less than a 5 minute drive or an easy walk on the bike path by the river. Foot passengers can ride the gondola to the top of Keystone Mountain and enjoy incredible views, and full service restaurants and bars. 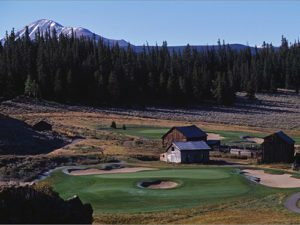 The Resort has two world class golf courses — The Ranch and The River Course. It’s fun just to go to the driving ranges. In the summer concerts and weekend festivals bring crowds to the resort. Downhill mountain biking is very popular with 6 to 12 foot drops and bike parks. Recreation paths for walking or biking roll along the Snake River near our units. Keystone Lake has paddleboats and kayaks and kids can feed the trout and ducks. Fly fishing clinics are offered. Like all the World Class resorts in the area, Keystone’s architecture is interesting, the landscaping beautiful, the guest services top-notch. There is a free shuttle service throughout the resort, kids and teen activities, and holiday themed events including summertime fireworks. 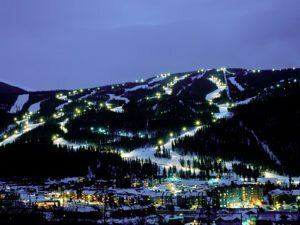 In the winter, Keystone is a full service mountain resort very popular with snowboarders, skiers and extended families. It offers three mountains for snowsports: Keystone Mountain, North Peak and The Outback. 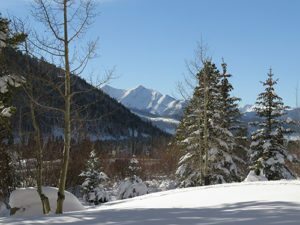 Summit Resort Group units are located within walking or shuttle distance to the Mountain House Base Area of Keystone Mountain. Units look out to the slopes or to the National Forest or wetlands. Want to visit the other resorts? It’s just 5 minutes to Arapahoe Basin, 25 minutes to Breckenridge, Copper Mountain or Loveland, 35 minutes to Vail and 50 minutes to Beaver Creek. Keystone Resort is known for its wide, groomed trails, huge terrain park, bump runs and glades. It has the largest Night Skiing operation in the U.S. It is a full service resort, but not a town. It boasts all the winter wonderland activities: ice skating on the largest maintained outdoor rink in the country, tubing, fire-pits, cross-country skiing and snowshoeing, sleigh-ride dinners, dining at the top of the mountain, culinary restaurants, spa, bars, live bands and festivals. Independent restaurants and bars, snowsport rentals, shops, and spa are located along US Highway 6 very near our units. There is also a small grocery, gas station and liquor store. Keystone is located 96 miles west of Denver International Airport (DIA) on Interstate-70 Exit 205. It is in the North and East section of Summit County and in its own valley.